Plus, photograph up to five characters together. 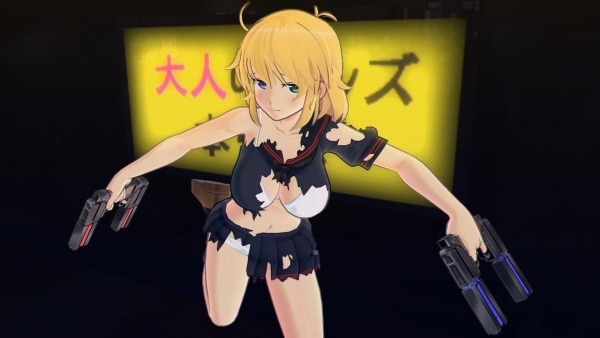 Famitsu this week has new details on Senran Kagura: Estival Versus‘ Dressing Room and costume destruction. Costumes from Shinovi Versus will reappear with updates in Estival Versus, alongside many new summer-like costumes. You can photograph up to five characters together in your favorite costumes and poses, too. And in addition to “rub” and “tear,” “whisk,” “pinch,” and “pull” interference actions have also been added. Costume destruction has further evolved. As you battle, your character’s clothes will tear little by little, and now it’s possible to destroy your costume entirely with a “Purupuru Finish.” There is no icon to hide the character’s chest this time, but rather a mysterious light that appears instead.